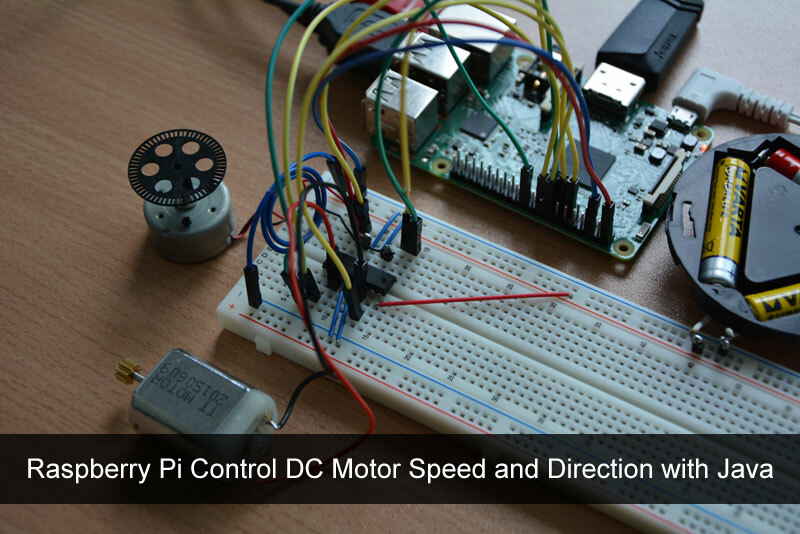 I have received several requests to create a tutorial about controlling motor speed and direction with Raspberry Pi and Java, so here we go! In this tutorial I will show you how to control the direction and speed of two motors simultaneously with the usage of the L293D chip. The L293D is a dual H-Bridge motor driver for DC or stepper motors, which means you can drive two DC motors bidirectionally, or one stepper motor. A good thing about L293D is, that it comes with build in kick-back protection which prevents your Raspberry Pi from damage. 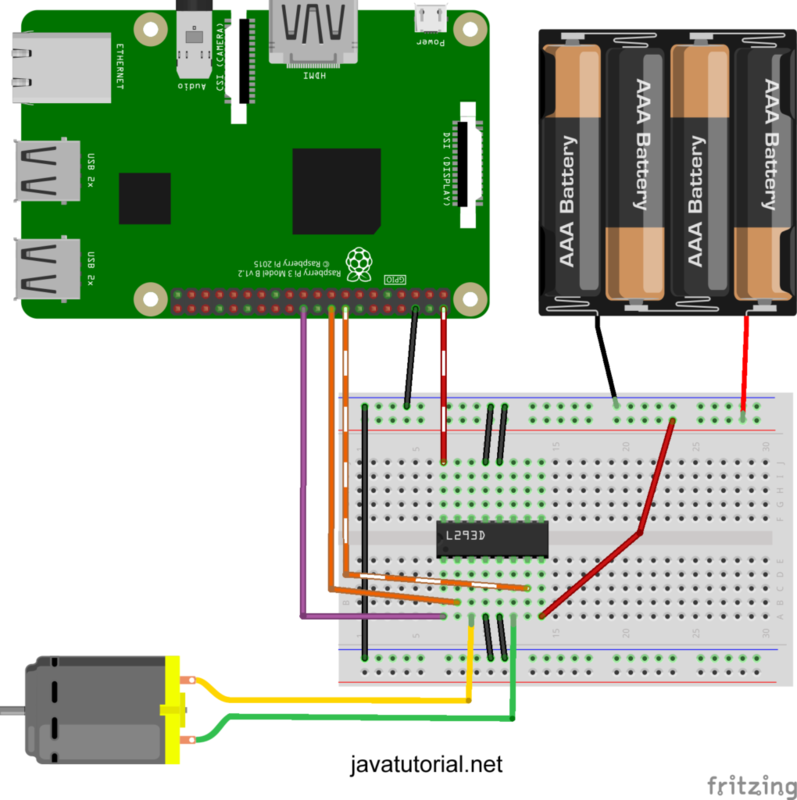 Never connect a motor directly to your Raspberry Pi. This may cause severe damage to your Pi! The chip has two +V pins. Pin number 8 (+Vmotor) provides the power for the motors and pin 16 provides power for the chip itself. We will connect pin 8 to a battery pack and pin 16 to Raspberry’s 5V pin. 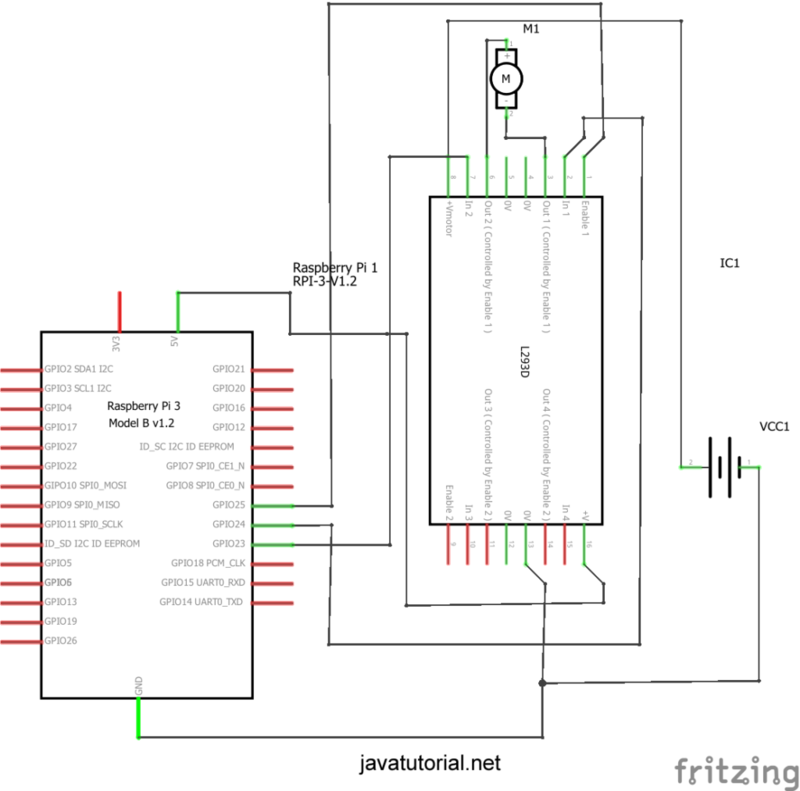 You need to pick a DC motor from 4.5V to 36V. The L293D does non work well for 3V motors and also has a limitation of 600mA per channel. I use Pi4J for all my tutorials. 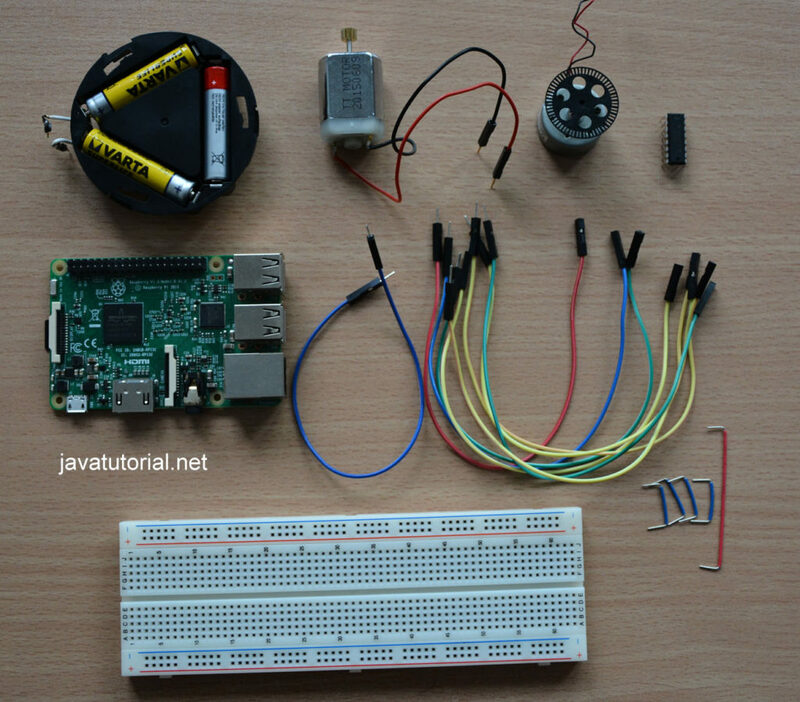 Pi4J is a great library, which allows you to control the Pi’s GPIO pins using the Java programming language. 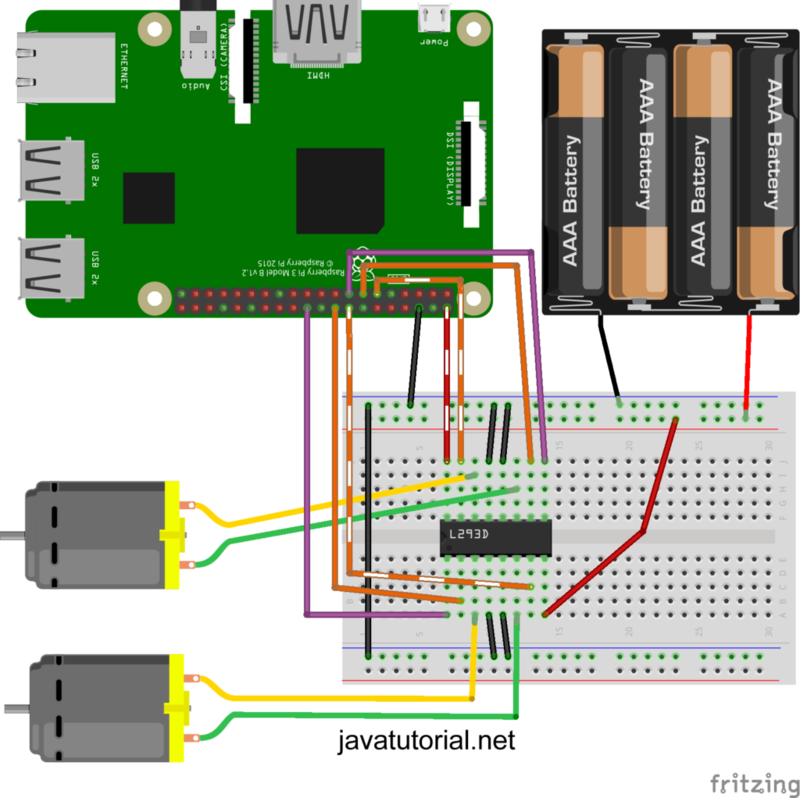 You can find detailed instructions on how to install and configure Pi4J on your Raspberry and your IDE in my introductory Raspberry Pi Java Tutorial. While assembling the circuit always disconnect the power supply from your Raspberry Pi! Otherwise you risk to damage the Pi or the components. Always double-check your wiring before you plug in the Pi! Use the picture below to assemble the circuit. 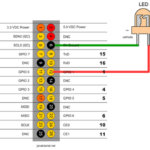 In this tutorial I will use the physical numbering of GPIO pins. Physical numbering refers to the pins by simply counting across and down from pin 1 at the top left. 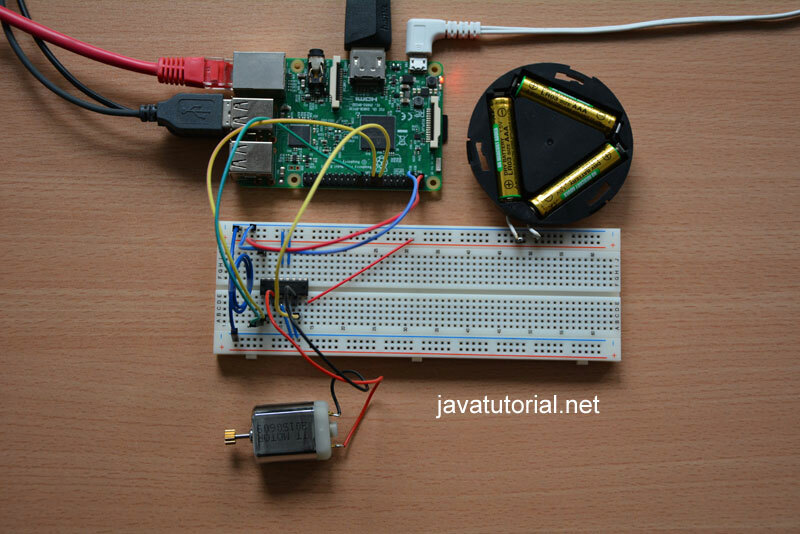 Note: this tutorial is made for Raspberry Pi 3 model B, of course you can build the same circuit and use the same Java code with Raspberry Pi 1 or 2 – just watch for the pin numbering. Here comes the fun part. After you have connected everything you can open your favorite Java IDE and write the code. The code below will spin the motor in one direction 3 seconds and than spin the motor in the oposite direction for 6 seconds. First we map digital output pinA to GPIO pin #4, pinB to GPIO pin #5 and pinE to GPIO pin #6. If you wonder, why we use pins 4, 5 and 6 in the code, please look again at the Pi4J mapping diagram I posted above. The name pinE comes from “pin enable”. If pinE is high, than the motor is on. Putting pinE to low will turn off the motor. We determine the rotation direction by switching one of the pins A or B to high and the other one to low. For example if we set pinA to high and pinB to low the motor will turn clockwise. Swap the pins and the motor will rotate in the opposite direction. With L293D we can control the direction of 2 motors independantly, so why we don’t try this? 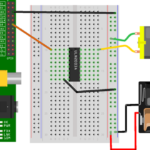 Adding a second motor to the circuit is easy – just plug the second motor into the breadboard and connect the additional 3 pins of the L293D chip to your Raspberry Pi with 3 additional cables. We will call our firs motor motor1 and the second motor motor2. 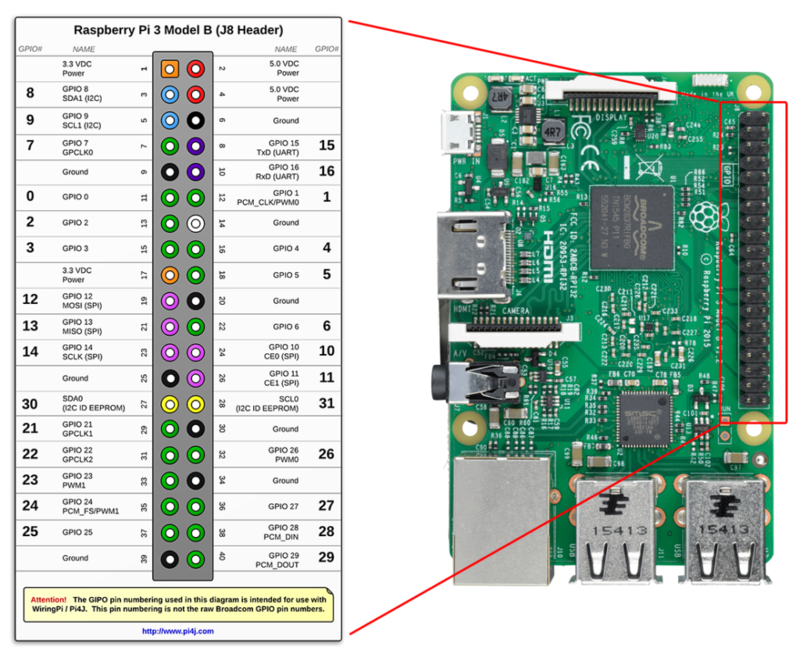 We assign 3 additional Raspberry Pi GPIO pins, namely 0, 2 and 3. The Java program below will rotate both motors in one direction for 3 seconds, than rotate firs motor in opposite direction for 3 seconds and the second motor for 6 seconds. System.out.println("rotate motor 1 in oposite derection for 3 seconds "
We use the same rule here: if pinE (enable) is high, than the motor is on. Putting pinE to low will turn off the motor. We determine the rotation direction by switching one of the pins A or B to high and the other one to low. Look at the following java code. Note, that pins A and B for motors 1 and 2 are set as Soft PWM pins. For the enable pins (motor1pinE and motor2pinE) we use exactly the same definition as in the previous code. As always I love to read your comments and answer your questions. If you like this tutorial, or my other tutorial, please spread the word! Raspberry Pi h-bridge, java, L293D, motor, motor direction, motor speed, pi4j, raspberry pi. permalink. I have an issue, when ever I enter the command line the console returns an error about being unable to find or load the class file. I am new to pi4j so I have no idea why it’s doing this. Can you please share the command you are executing and the exact error you see? Also make sure pi4j is properly installed on your raspberry. 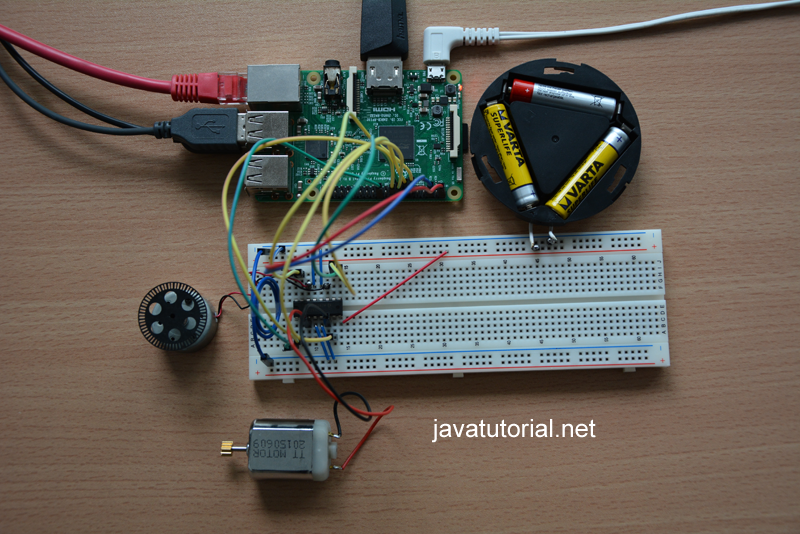 Follow this tutorial https://javatutorial.net/raspberry-pi-java-tutorial and the paragraph named “Install Pi4J on Raspberry Pi” for more info. I’m quite sure thsat my pi4j has been installed correctly. I have also reinstalled it, and it’s file is located within the opt folder. I am currently using the bluej IDE, is there anything in particular that is different? Also I have tried the changes suggested for the errors but I have found no success.